USPA NEWS - The race to replace Mayor Rahm Emanuel is wide open with eyes turning on the 21 Individuals who filed signatures to appear on the ballot. The race to replace Mayor Rahm Emanuel is wide open with eyes turning on the 21 Individuals who filed signatures to appear on the ballot. 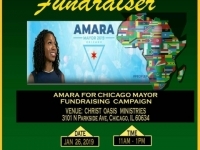 Dr. Amara Enyia demonstrates her commitment to Chicago by showing what she has already done. 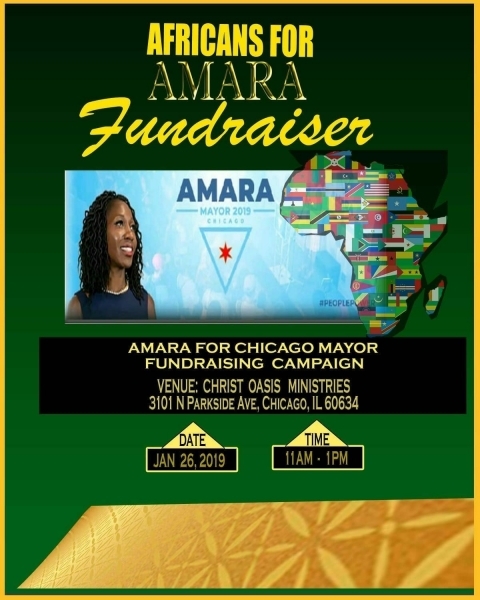 Amara has a uniquely broad and deep background of local, national and international experience necessary for managing a city as complex as Chicago. She has worked from the top level of city government to the grassroots level and everything in between. She has experience managing a municipality, consulted on projects in cities around the world as a public policy expert, run non-profits, serves as a leader in the business community, and works at the grassroots level as an organizer on the issues affecting Chicago’s neighborhoods. Through her work she has forged authentic relationships across the city on many areas of policy including economic development, housing, public finance, education, workforce development, food security, public safety and more. As a bridge-builder and advocate, she has actively worked to usher in transformative policies that improve quality of life for Chicagoans. Amara believes in thinking outside the box, challenging systems, and building new ones that reflect values that put the public’s interest first.